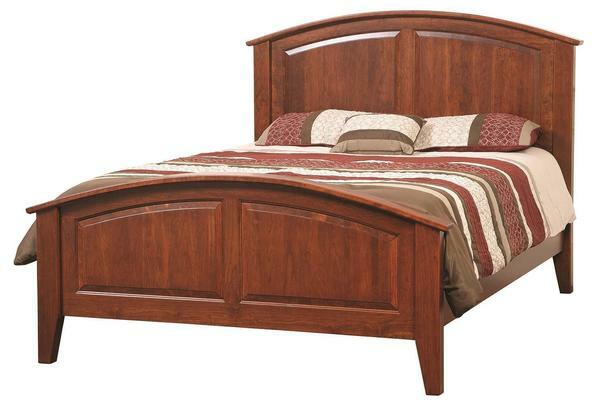 This solid wood Morning Ridge Bed has a classy style to fit almost any bedroom decor. You can customize your bed to fit in your unique suite by choosing a bed size to start and then the wood type, such as Oak wood, Cherry wood, Hickory wood, and several other kinds of wood. You will also get to select your favorite finish option so that you can match your new bed with the rest of your bedroom furniture. If you would like to further customize this bed or if you have any questions, please contact one of our Amish Furniture Specialists at 866-272-6773. Our fully staffed and dedicated team of professionals will be happy to happy to help you out and get you exactly what you have been searching for!